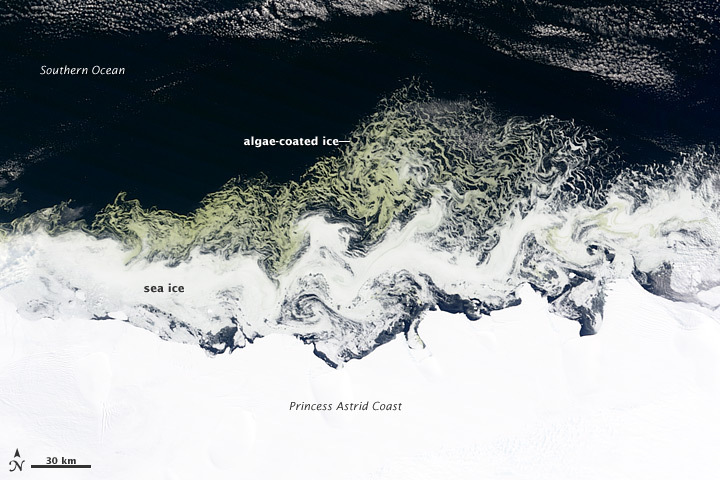 A few weeks ago, NASA’s Terra satellite flew over East Antarctica and detected swirls of green amidst the ice off the Princess Astrid Coast. For three weeks since, we have been trying to figure out what Terra saw in this remote region of the world’s most remote continent. The natural color image above was acquired by Terra’s Moderate Resolution Imaging Spectroradiometer (MODIS) on February 27, 2012. 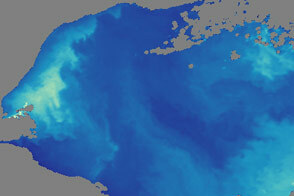 Green shading in an otherwise blue ocean usually indicates a bloom of phytoplankton, plant-like organisms that turn sunlight into biomass. Phytoplankton are the center of the ocean food web, feeding everything from krill to penguins to whales. 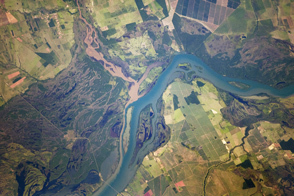 The slightly differing interpretations of one satellite image are not seeds of a scientific controversy. They are, instead, a reminder of the limits of what we can see and say with satellite imagery. They are also a reminder of how science works: incrementally and collaboratively. 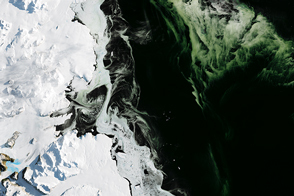 The green waters off Antarctica this February might have been phytoplankton blooming in the water, adhering to the edges of the ice, or growing on top of the ice altogether. Perhaps there could have even been a different explanation that did not include life at all. But until someone could sample the water and ice directly, it would be difficult to know for sure. So that's just what Lieser’s colleagues did. “We were in a fortunate position to be able to redirect the Australian vessel Aurora Australis to take a few surface water samples of the bloom when she was on return mission from Mawson Station to Hobart, Tasmania,” he noted. “Reports from the ship as it was sampling and traversing through the bloom indicate that the region was covered by small pancakes of sea ice with algae visible on the sides and undersides, apparently floating in a sea of greenish brown.” The samples were due back in Hobart by late March. 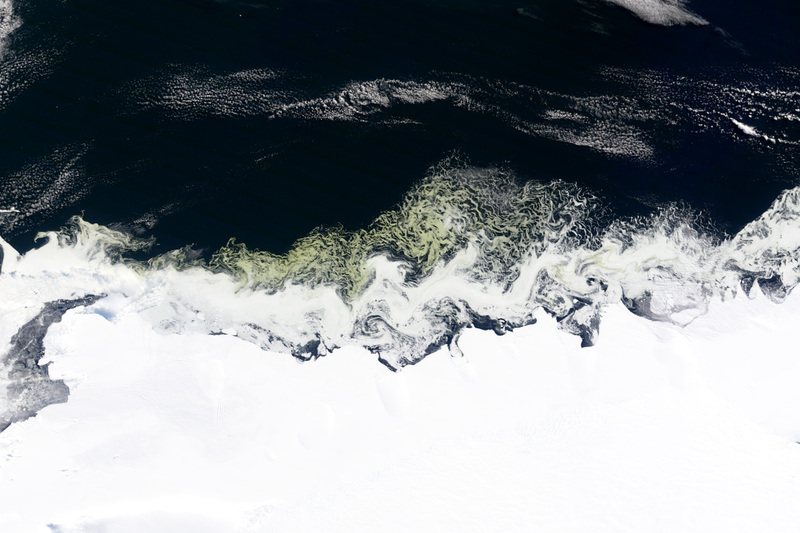 Is it colored ice, a plankton bloom, both, or neither?